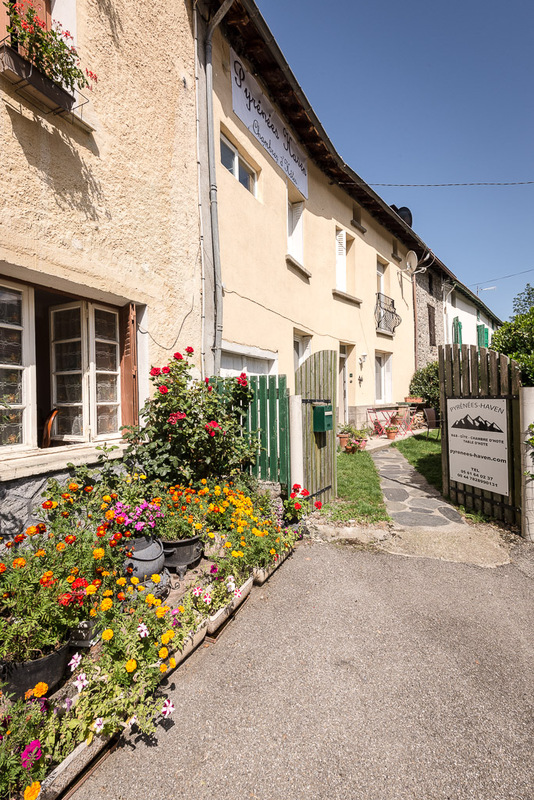 Chambres d'hotes, B&B and gite. Pyrenees Haven is for sale! Contact us for more info. The village of Perles and the Ariege Pyrenees is a great location for year round holidays. If it is total relaxation, family entertainment, sports training or adventure that you are after, you will find it here. 1 room with a double and a single. 1 room with a double and 2 twins. Secure ski and bike storage. Cot, high chair and baby paraphernalia. DVDs, books, games, maps and guide books. Pyrenees Haven is a gite in the heart of the beautiful Ariege Pyrenees. Our beautifully renovated Pyrenean village house offers comfort and enjoyment in equal measure. The gite is in the delightful village of Perles, just 6km from the ski lift and thermal spa at Ax les Thermes and a short distance from the dedicated cross country ski/snow shoe areas of Beille and Chioula. We are located in the 'haute Ariege', the ideal spring, summer, autumn and winter mountain playground. Getting here has never been easier. You can fly direct to Toulouse from many major UK airports with Jet2, Flybe, Easyjet and British Airways. Another popular airport to fly into is Carcassonne which is used solely by Ryanair. Both airports are within 1hr 40mins of Pyrenees Haven. Perpignan and Barcelona are also good options with flights to Barcelona from just about every airport in the country. Travelling by car is a popular option as you can bring more 'kit'! We are roughly 12hrs from Calais. Getting here by train is becoming increasingly popular with raileurope. You can call Rail Europe on 08448 484 064.